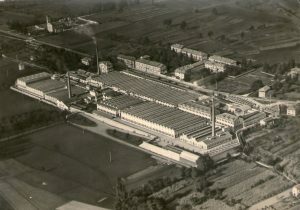 Guidi’s headquarters are in Grignasco, in the province of Novara. Grignasco is a small town in the north of the Piedmont region, with a population of just over 4500, nestling amid the greenery at the foot of the Alps, not too far from the sea. It sits on the border with the province of Vercelli, and is part of the Valsesia area. It has an altitude of 322 metres asl, and lies in a basin protected to the north by Mount Fenera. 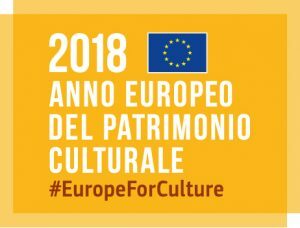 2018 is the European Year of Cultural Heritage, whose motto is Our heritage: where the past meets the future, and whose aim is to strengthen the sense of belonging to a common European space. We share this aspiration to strengthen the sense of belonging to Grignasco, and to tell the town’s story. 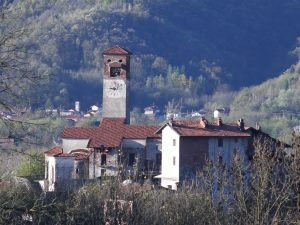 In 2008, Monsignor Giuseppe Cacciami, a priest, educator and journalist native to Grignasco, offered an excellent account of this hard-working little town of ours. The ending -ascus suggests a derivation from the personal name Crinius, and the area may have belonged to a landowner named Crinio. The paleontological and archaeological finds brought to light on Mount Fenera show that there were human settlements in this important prehistoric site as early as the Paleolithic. As regards historical times, the (albeit very limited) information gleaned from archaeological findings on the mount and on the plain indicates that the local area was colonised in the early centuries of the Christian era: remains of a burial site with tombs of people cremated in the 1st century AD in Giarola, a funeral stone with an unidentified inscription – now gone – near the church of Bovagliano were already mentioned by Cassani, and the fragments of pottery and soapstone that have come to light in Bovagliano and around the nearby village of Battistetto would appear to confirm the hypothesis of original settlements on the plain, which would in turn explain the choice of that area to build the parish church, in the 12th century. 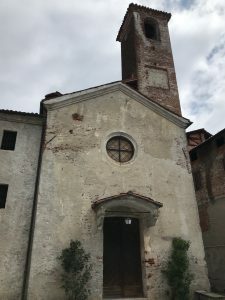 The first indication of Grignasco as the location of a parish of the diocese of Novara dates to 26 June 1132, in a bull by Pope Innocent II, which lists, among others, plebem Grinassi; in a document from 1151, there is also a reference to one of the first clerics to serve there, a Martinus diaconus de Grignasco. We can thus imagine that the area was organised into a number of settlements corresponding to the present-day villages around Grignasco, mainly spread around the plain and dependent on the parish of Santa Maria in Bovagliano, while, as is indicated in a manuscript from the late 18th century, next to the hill the castle was built on was a group of small dwellings, easily defendable, around which the subsequent buildings developed. 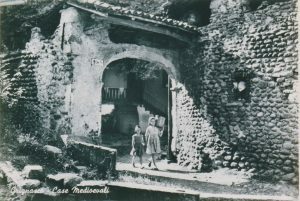 A few ruins of the castle of San Genesio are now visible, and we can imagine what the fortress and the ancient settlement might have looked like as we walk along Via Castello and Via Torrione, the streets that cross through the buildings of the medieval village. Later documents show that Grignasco and Ara were part of the larger Marquisate of Romagnano, which from 1441 to 1550 belonged to various members of the Romagnano family. During the 16th century, the Marquisate was given over to other feudal lords, and in 1558 it was purchased by Count Giovanni Battista Serbelloni, whose descendants owned it until around the beginning of the 19th century. The church, and the 15th and 16th century frescoes in it, testify to the vitality and level of civilisation of the local population, since the life of the community was inextricably linked to its places of worship. 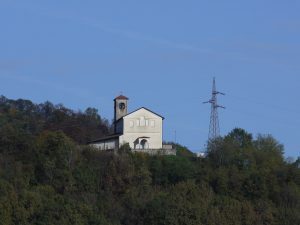 The 15th, 16th and 17th centuries were marked by the building and subsequent extension of the church of Santa Maria delle Grazie, in the centre of the village, and the oratory of San Graziano, as well as the oratories in the local farms, such as the Chapel of San Antonio in the village of Negri and the Oratory of San Rocco in the village of the same name, while the 18th century saw the renovation of San Graziano and of the oratories in the local farms, such as the Chapel of San Antonio in the village of Negri and the Oratory of San Rocco in San Rocco village, and in Bovagliano, the new parish church of the Assunta was built, on a project by Bernardo Vittone. 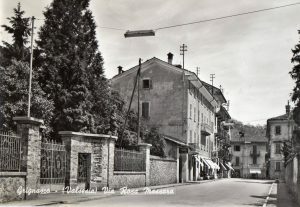 In those years, Grignasco belonged to the Duchy of Milan, under the rule first of the Visconti and Sforza families and then of the Spanish, and at the beginning of the 18th century, it became the property of the House of Savoy. The gradual move away from the feudal regime became evident with a more active presence of the population in politics and administration (as indicated by statutory documents from 1570 and 1608), and with the emergence of an increasingly influential upper middle class, which – also thanks to the fortunes of some of its members who moved to Rome – made a significant impact on the civil and religious history of the local community. Echoes of the revolutionary air of the late 18th century were evident also in Grignasco, testified to by the tree of liberty in Piazza Viotti, in front of the new parish church, but the restoration of the ancien régime rapidly dampened this enthusiasm: during the first 30 years of the 19th century, almost as a reflection of the new political situation, Count Giovanni Battista Viotti funded and carried out a radical renovation of the interior of the church, a symbol of the community of Grignasco. 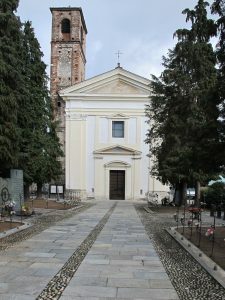 A number of important civil works were also carried out during the same period, such as the building of the bridge over the stream near the church of Santa Maria delle Grazie (1827), the laying of the cobbles on Via Riale (1836) and the repair of the part of the church buildings that belonged to the local community, initially to host the local Council and later the first public schools (1839), which replaced the private educational institutions linked to the names of Lorenzo Testa and Giovanni Zanoli. From an urban planning point of view, since the town had now spread to the present-day Piazza Cacciami, it became clear that new roads were necessary to connect the centre with the outlying villages further down, and 1855 saw the construction of Via Cesare Battisti towards San Rocco and Torchio. 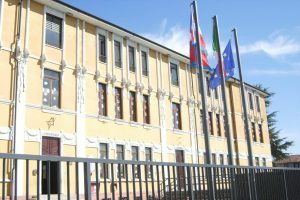 One of the most significant political and administrative acts was the review of the Community Orders that had governed the lives of the people of Grignasco for over two centuries. 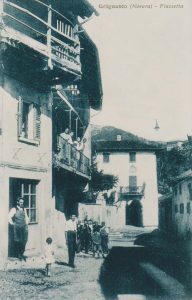 The new regulatory framework was approved in 1842, and shows that the community remained closely bound to the countryside, and that viticulture and wine making remained the central feature of the town’s economy. The local pastures and cattle, water supply and roads, woodlands and their products were once again governed by a series of regulations, as was the maintenance of the irrigation channels and the control of the local area; this period, following the promulgation of the Albertine Statute, also saw the establishment in Grignasco of the National Guard, with a company that was part of the Romagnano Battalion. New forms of association began to evolve, joining the traditional Santissimo Sacramento, Santo Spirito and Santa Marta confraternities that had existed for centuries. As regards local religious life, 1870 saw the celebration of the first centenary of the Consortium of the Immacolata, with a ceremony of such magnitude that it was recorded in the annals as the festone, the grand celebration. 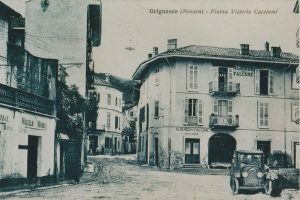 As for civil life in Grignasco, there was an attempt in 1855 to establish a Philharmonic Society; the proposal did not obtain sufficient financial support, but 1881 saw the foundation of the Circle of Friendship, which in turn led to the establishment, in 1893, of a small local music group and later of the Municipal Band. 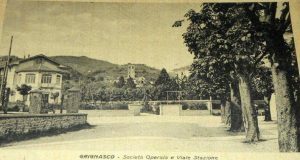 The Grignasco Circle was founded in 1883, from which the Workers’ Society was then formed. The first carnival celebrations were organised, and the traditional local carnival character Giuan Bacèja made its first appearance in 1895. The town expanded, and in 1881-82, the new carriage road linked the higher-up neighbouring villages of Sella, Carola, Bertolotto and Pianaccia. During the same period, Pietro Iannetti, on his return from Rome, donated the first fountains to the community, as well as the washhouse that to this day bears his name. Alongside viticulture, which spread further in the hilly areas, a furniture industry began to emerge in the local economy: originally based on Late Baroque models, this sector soon flourished in Grignasco, with numerous workshops opening up and taking the town’s name beyond Italian borders. The development and modernisation of the town, and the diversification of its production activities, created a situation conducive to a decisive shift from an agricultural to an industrial economy. 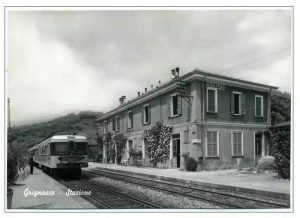 The arrival in Grignasco, in 1884, of the Novara – Varallo railway, linked to the name of the illustrious local Costantino Perazzi, and the construction of the Figli di Federico Bozzalla wool spinning company, in 1894, played a decisive role in this shift, which also had an impact at social and cultural level on the future growth of the town and community of Grignasco during the 20th century. A series of major events have marked the history of Italy and the western world over the last two centuries. How have they shaped Grignasco? 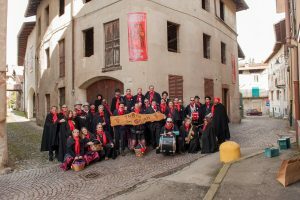 While it may seem a pretentious cultural operation to attempt to define the identity of a small town in the Lower Valsesia within the framework of the fast-moving changes that have affected our lives over the last few centuries, and especially over the last 50 years, it is in fact those changes, and the solid foundations of the centuries before them, that have shaped the modern image of Grignasco and its people. The Italian Risorgimento, the emergence and development of the industrial society and – through the harsh political and social events that followed it – the successes of the new economy, large-scale immigration, the tragedy of the two world wars, the vital work of the Resistance, the reconstruction, the economic boom, the dramatic crisis of the 1970s and the explosion of the new technological era, the end of the rural age, the dawn of the new era of tertiary services, computers and the information society. On a smaller scale, as befits an unpretentious, down-to-earth little town, Grignasco has experienced all the shifts and changes of our time from the inside, with a passionate, creative approaching, making its own splendid little contribution to the huge, complex construction of a world light years away from the one the town grew up in over the long centuries that made up its past, in this strip of land between the Sesia, Ara and Isella and the hills of the Traversagna. And we believe that this brief overview of Grignasco’s history is not incompatible with the ability to perceive that subtle sense of melancholy, of nostalgia, of local pride that – in a society where monotonous anonymity is a growing risk – remains an important cultural and social value. Over the last two centuries that have brought us towards the new millennium, Grignasco has changed, of course, yet it has succeeded in maintaining and renewing a number of aspects of its true identity, which require a closer look, because they are part of the town’s authentic historical heritage. Without fear of appearing rhetorical, let’s sum them up: a love of work, a sense of the family, its religious roots, inventiveness, craftsmanship skills, cultural sensitivity and finally, the most important, which we wish to firmly underline – a human, Christian sense of solidarity. A shining example of this is the productive approach to social integration that the large waves of immigration following the two world wars, and still today, have prompted in Grignasco and have shaped relations between the locals and the new arrivals, largely avoiding the bitter conflict between regions, and between north and south, that have elsewhere led to profound incomprehension and decline. Although they may not be destined to go down in the history books, the dates below are important for Grignasco, and help us tell the long story of recent and less recent generations. 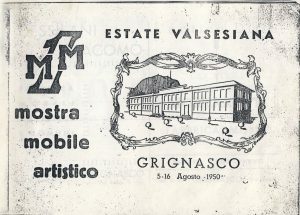 End of the 19th century: arrival of the railway, the establishment of the Filatura wool spinning factory, destined to make Grignasco a familiar name worldwide, and the foundation of the Workers’ Mutual Aid Society. 1912: construction of the impressive elementary school building. 1919: the first library of the Workers’ Society. 1929: opening of the first sports field. 1930: inauguration of the new premises and the theatre of the Workers’ Society. 1950: the first of the 13 editions of the Furniture Show that took place until 1973. 1951: 82a Brigata Osella Rest Home. 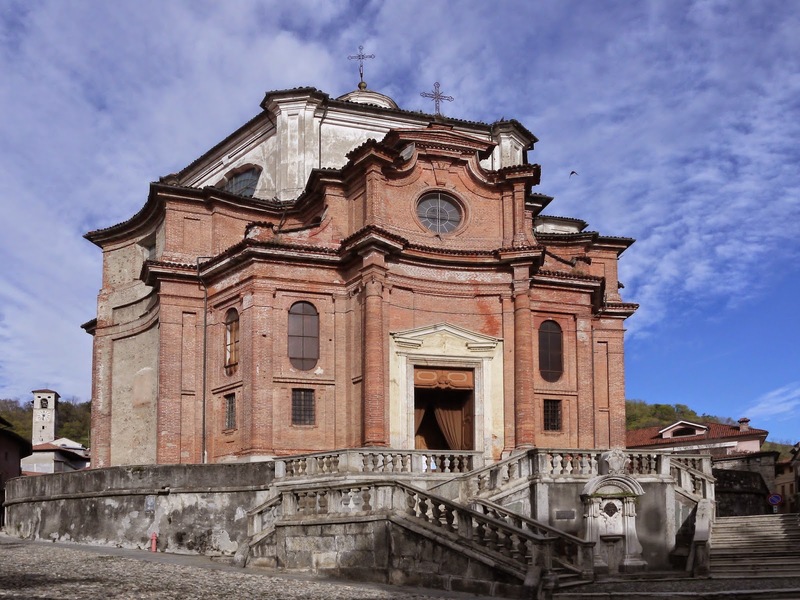 1954: opening of the San Giustino Oratory for the young people of Grignasco. 1963: opening of the middle school. 1965: foundation of the Municipal Library. 1969: move of the Library to its new premises. 1982: inauguration of the meeting centre for the elderly. This is an incomplete – and unfinished – list. Life in Grignasco today is busy with numerous other activities organised by patriotic, cultural, sports, recreational and assistance associations, and an important date to add to the list above is 1968. The foundation of the local Pro Loco tourist association that turned 25. An ancient yet modern town! Dominated by the finest Baroque monument in the Piedmont Region, the Assunta del Vittone Church, embellished by the splendidly artistic Church of Santa Maria delle Grazie, and with the pace of life marked by the chimes of the bell tower of San Graziano, Grignasco has tiptoed quietly and unobtrusively into the enigmatic 2000s. A small number of hardy winegrowers continue to tend to the vines on the hills that for centuries produced the hallmark product of the Grignasco countryside – its wine. There’s still enough, however, to raise a glass to the future of Grignasco, safe in the knowledge that its deep, healthy roots will continue to bear fruit.